Blockchain has progressed into something better, and everyone is concerned and are asking the question: What is Blockchain? Notwithstanding the term we do use often "Blockchain"; we must understand that there is not just one blockchain, but it is a term used to describe the complete collection of distributed ledger technologies (DLT) that is automated to record and track whatever of value by allowing digital information to be distributed but not copied (continually reconciled database). Private/Permission: Permission blockchain network requires an invitation to participants and must be authenticated by either the network founder or by a defined instruction set by the network founder. Hybrid Public-Private: This is based on the concept of both private and public blockchain and this allows those with privileged access to see all the data while the public can see only selected data. The concept can also be adjusted in a way that everyone can see all data (more like a public) but cannot add new data except only those authorized by the network founder. Despite the currently existing systems and processes to record and track data, blockchain remains special as it transforms the way we interact with each other. Why do think of blockchain and why should blockchain be considered in the enterprise? With Blockchain, data can be trusted because of the consensus mechanism. A consensus which is a fault-tolerant mechanism is used by systems on a blockchain network(nodes) to accomplish the compulsory agreement on a single data value before it’s added as a block to the chain. With this, we can trust every information on each block on the blockchain. 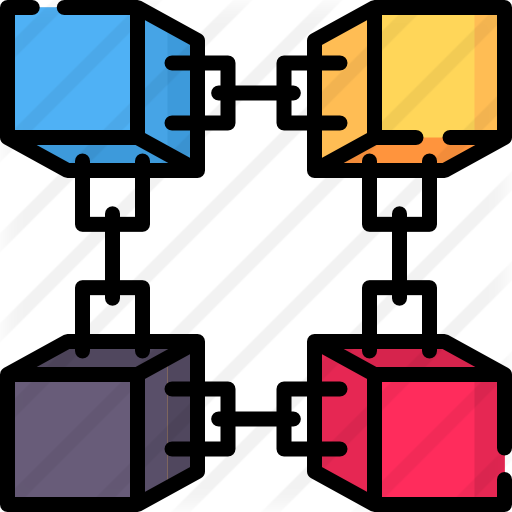 Blockchain stores data in groups called blocks that are linked together in a sequential fashion to form an unceasing line; representationally, a chain of blocks. Each block holds information about the previous block, timestamp, and some vital information. when you make a change to an information in a block, you don’t do the modification on it instead the change is stored in a new block showing that an information was changed. This allows a user to view the history of a data and see the type of changes that have occurred. This concept is based on the principle of the general financial ledger; which is a nondestructive technique to trail changes over time. Looking at the way we currently do business, we do engage an intermediary who acts as an agent. This can be a bank, lawyer, government agencies, etc. and must really trustworthy in terms of honesty and administrative skills. That monopoly will surely make the person/organization to charge a fee, make rules for when and who should transact. Sometimes a problem does arise when the person falls ill, or the organization integrity is compromised. Distributed ledger performs all the functionality of the central entity and guarantees a trusted system. This enables users or customers to access and interact with data without an intermediary. The permission blockchain is changing the way enterprise is doing business and the set time for organizations to fully implement blockchain and move away from the experimental phase is now.